While not up to Tolkien or CS Lewis this was an enjoyable, well written fantasy novel. I thought it was one of the more approachable books I have read of the genre for non-fantasy readers. The land and language were fairly easy to grasp. My only mild complaint is that I wish Le Guin had included a few more female characters- a trait sorely missing from this genre. I think it is a negative image to send to young girls when every bold character they read is male. It leaves the impression that all they can do is be bright cheerful fairies. Still, that is more of a comment than a complaint. 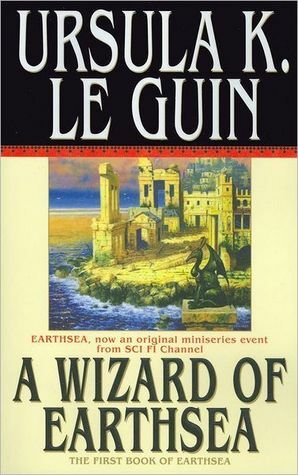 Sign into Goodreads to see if any of your friends have read A Wizard of Earthsea.